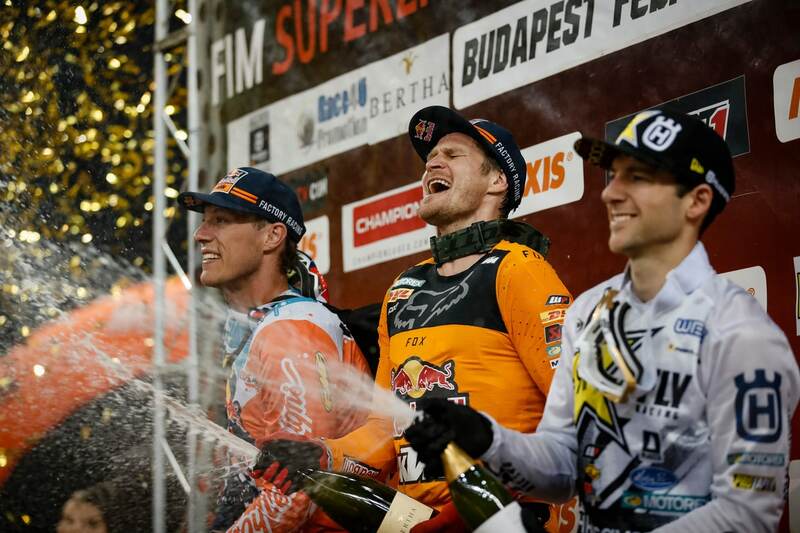 The SuperEnduro World Championship is tighter than ever after round four in Budapest Hungary. It has developed into a three way battle between Colton Haaker, Cody Webb and Taddy Blazusiak. 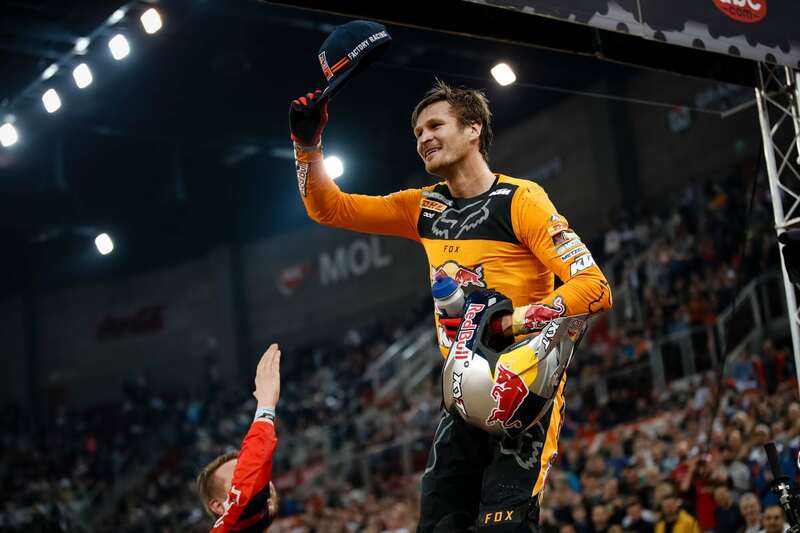 The overall for the night went to Taddy, just as it did in round one, but the three riders are nearly equals in speed and talent, and the racing is close and intense. 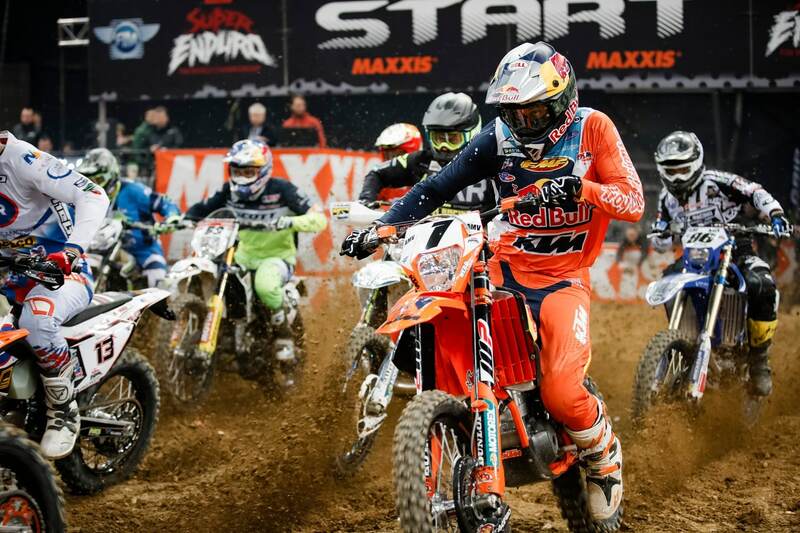 The SuperEnduro format calls for three main events for each round. 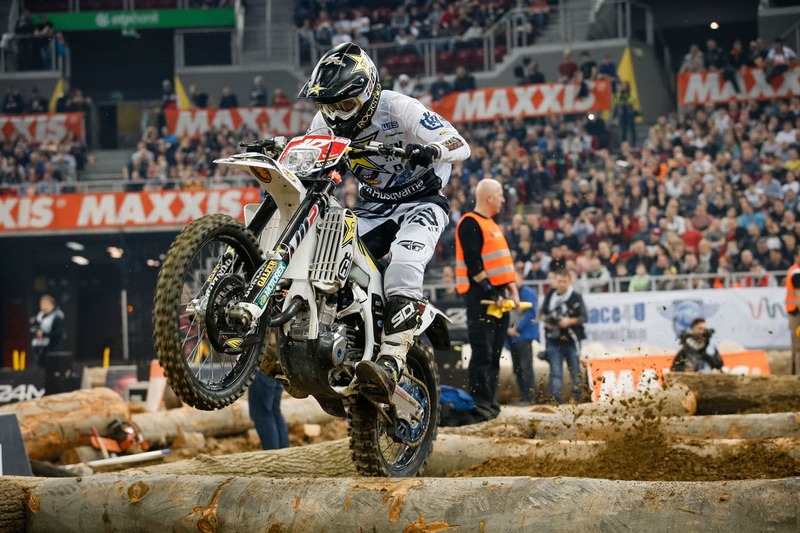 In the final tally, all three riders crossed the finish in first in one event apiece. Taddy brought home the most points because he was second twice. The rider who is most pleased with the season so far is Haaker, who maintains a 12-point lead with only one round left.